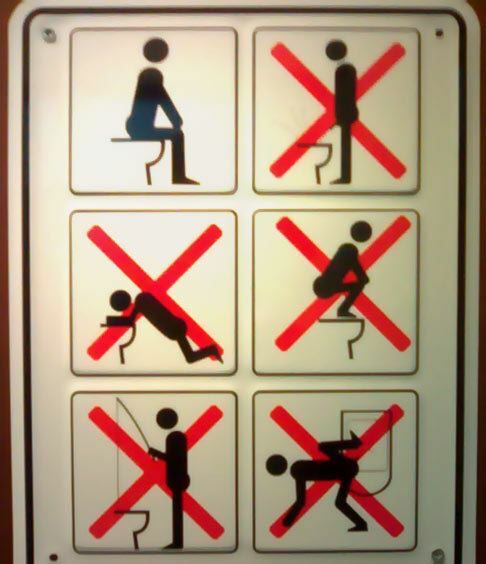 I have a long list I've yet to finish.....but today's love.....instructional signs....there are many types but the bathroom ones are the ones that make me smile the biggest. Some of these leave me going "What?" Have seen this one often - and evidently - it's NEEDED! the don't stand on it and squat is for Asians visiting from other countries where squatty potties are the norm so that one I understand.